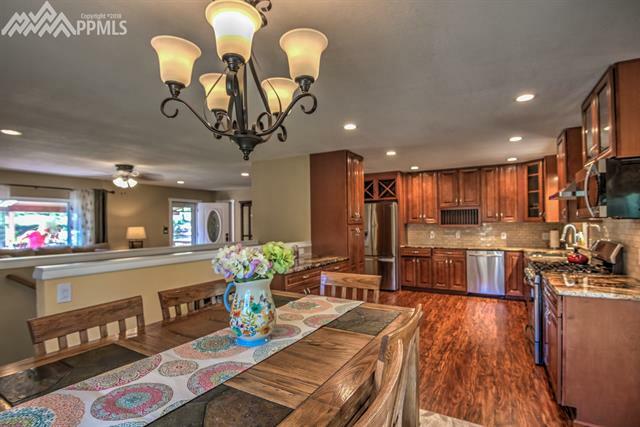 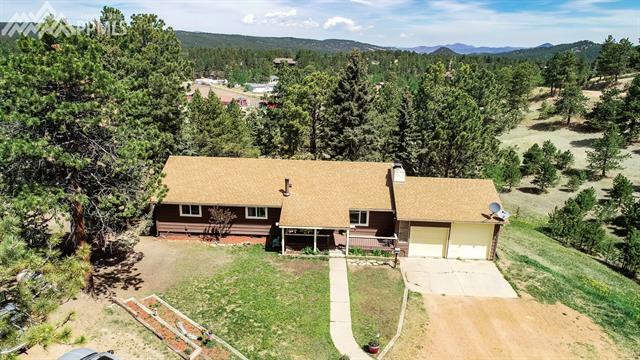 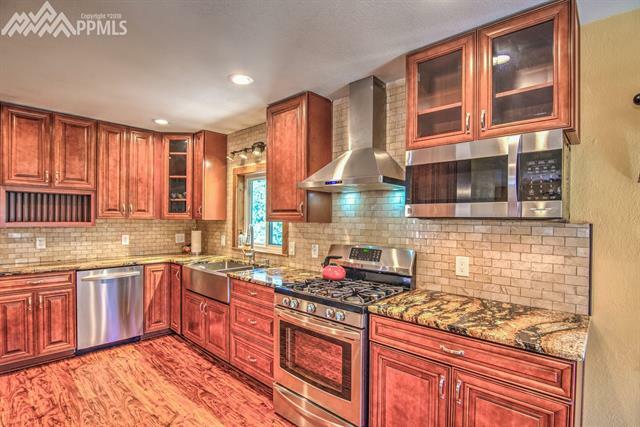 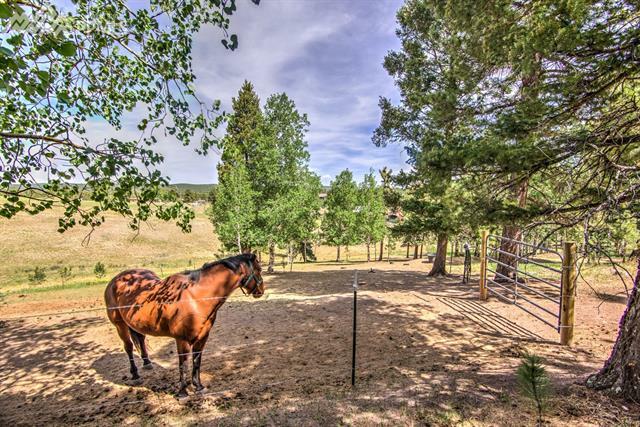 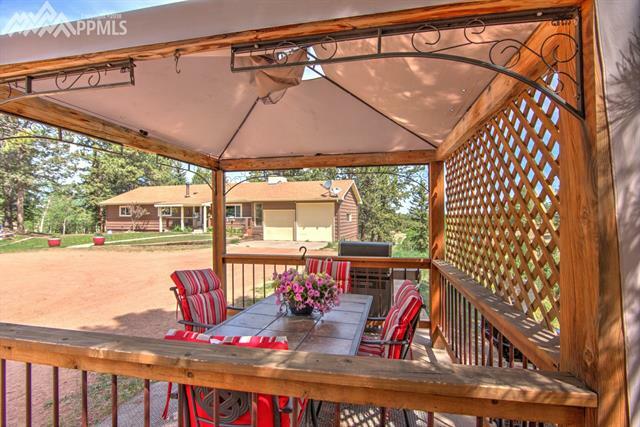 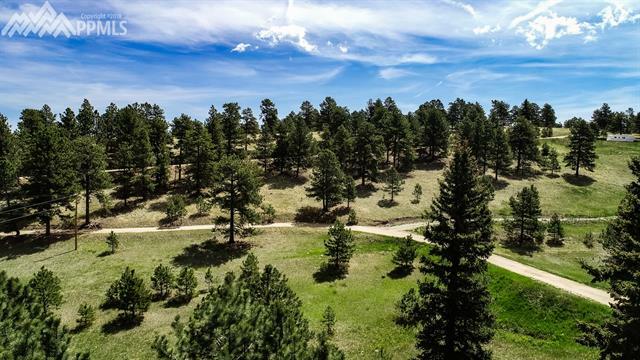 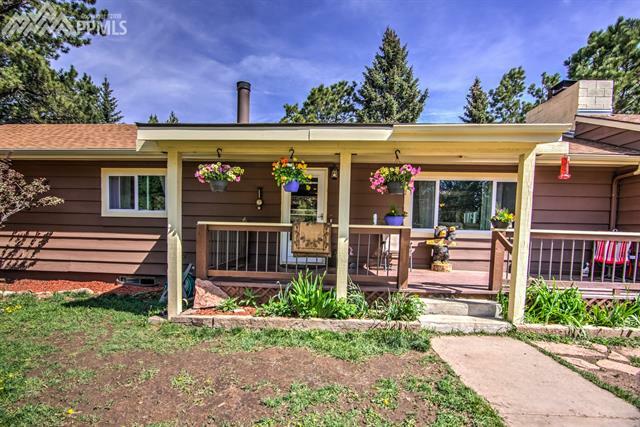 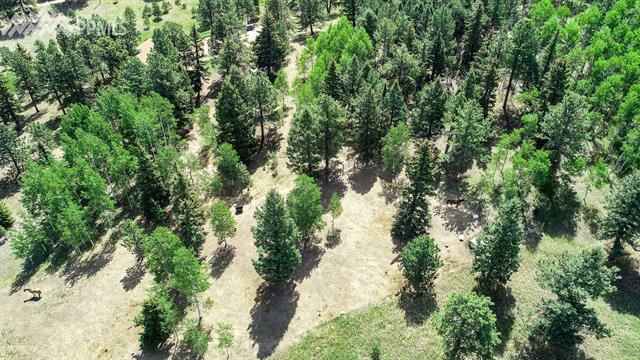 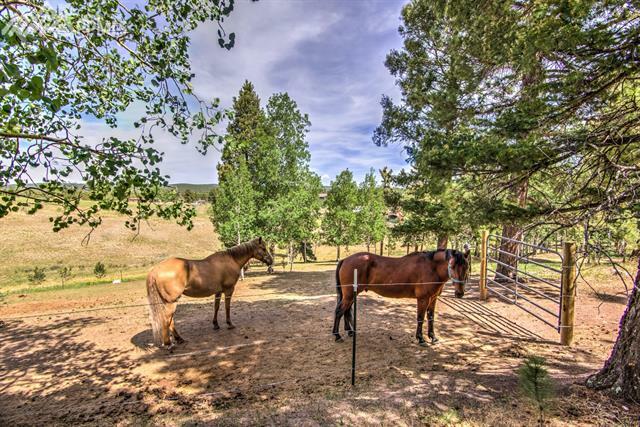 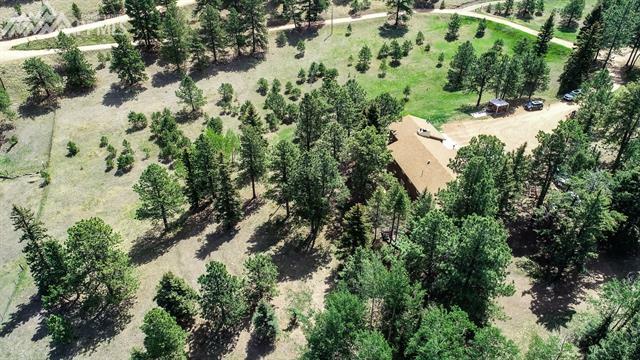 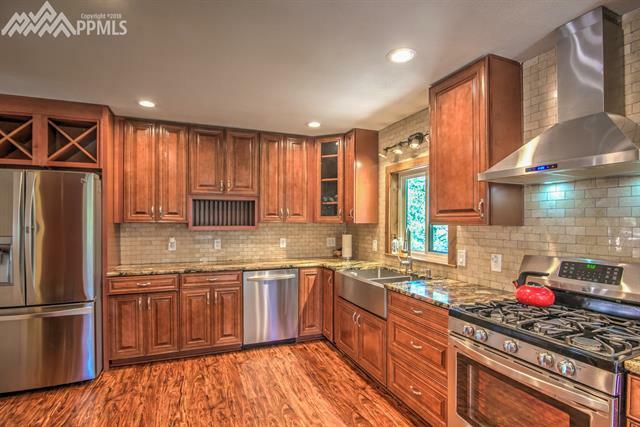 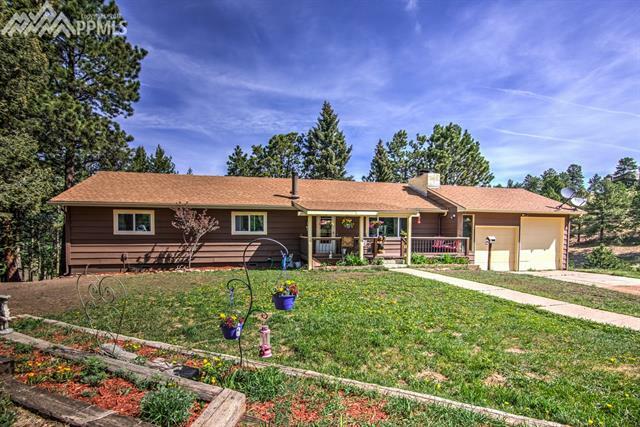 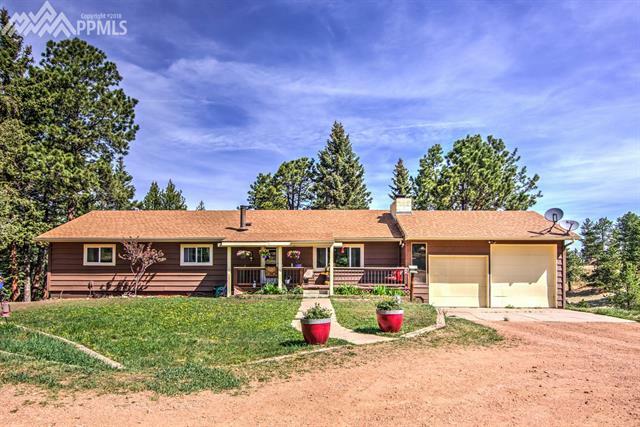 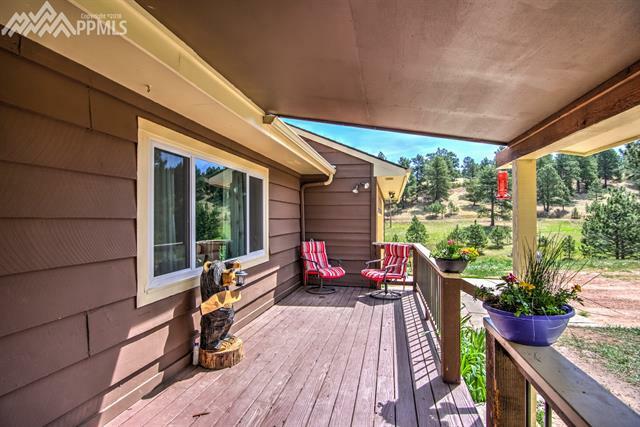 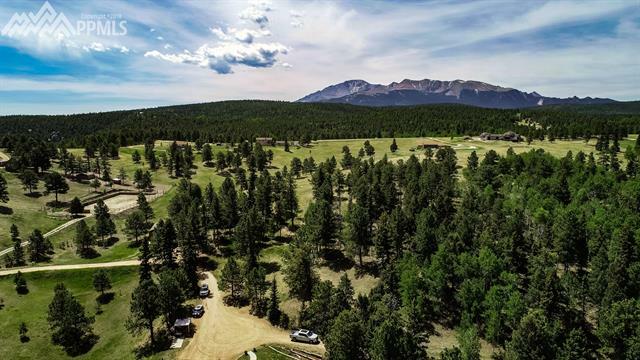 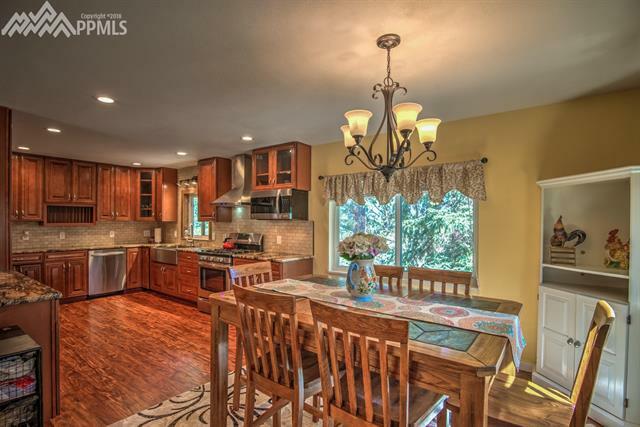 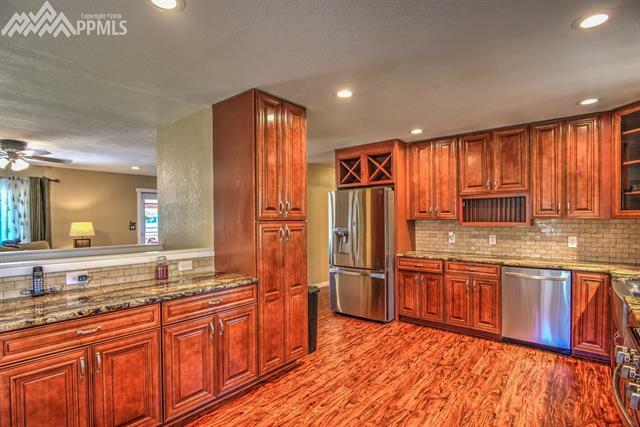 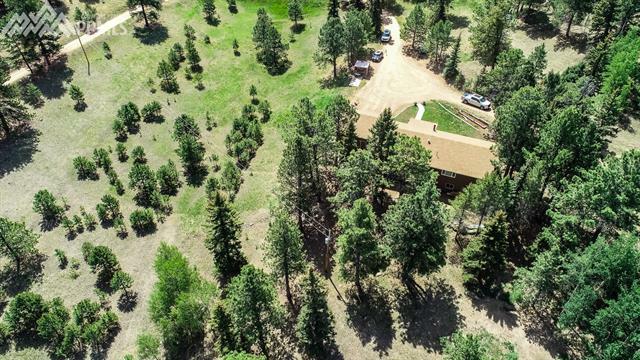 Complete remodel on this excellent location for horse property in Woodland Park! 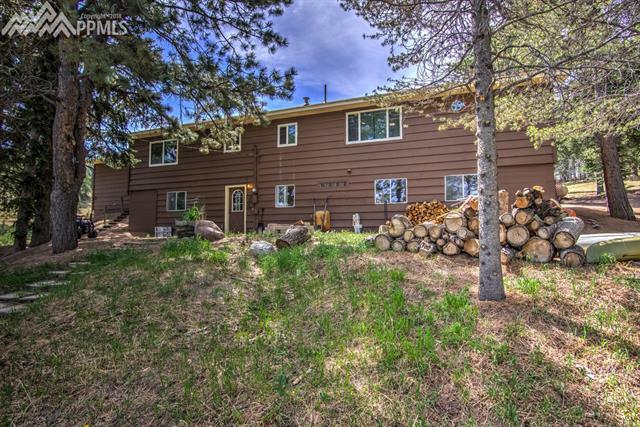 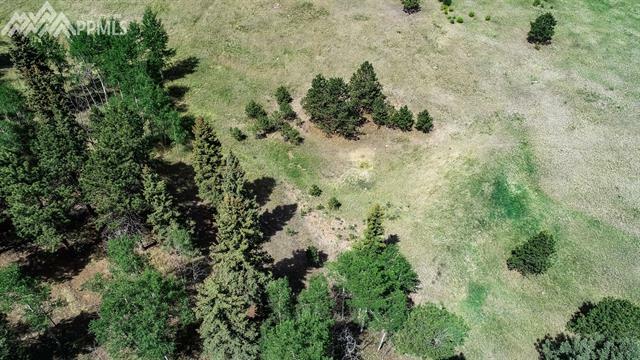 Rolling Meadows, trees, and views to the North, located only 5 minutes to the town. 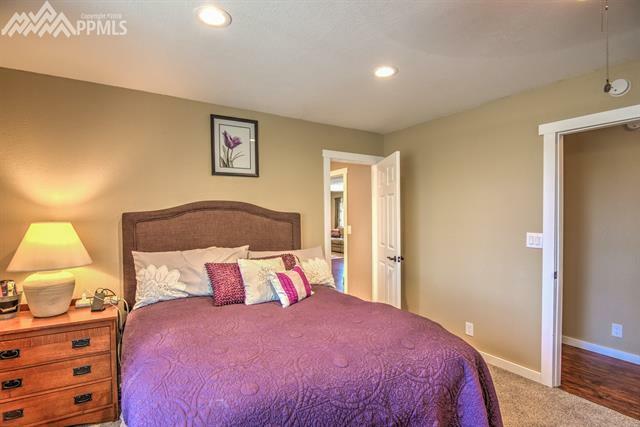 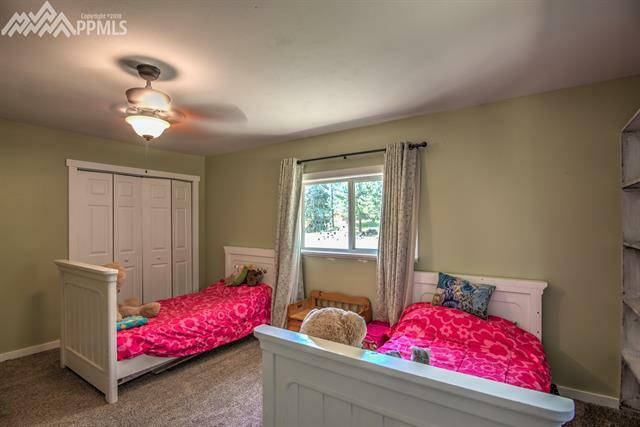 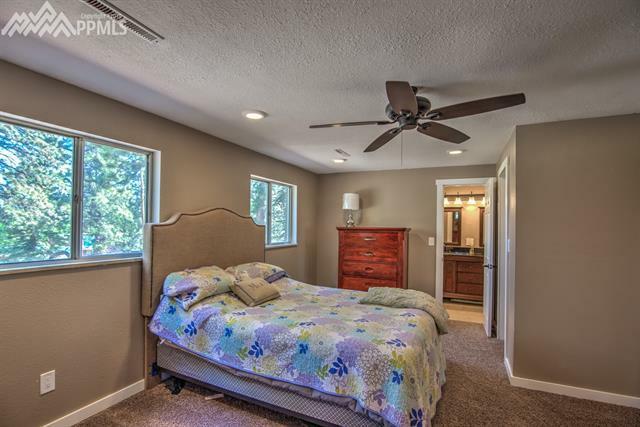 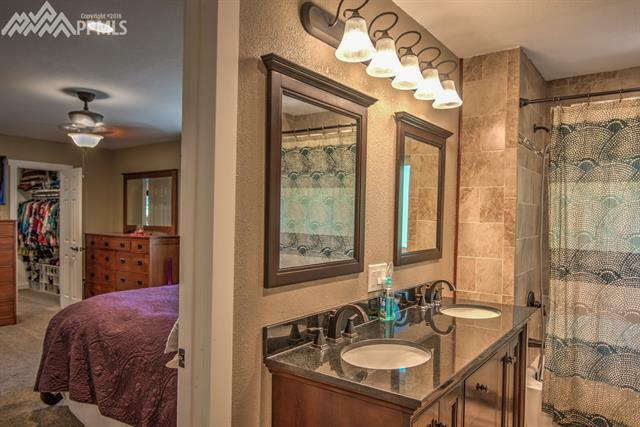 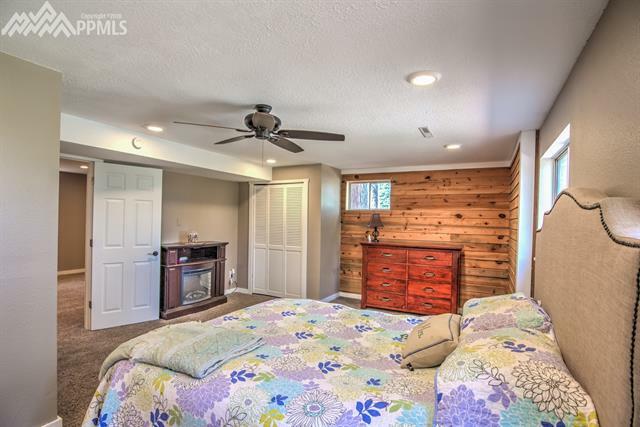 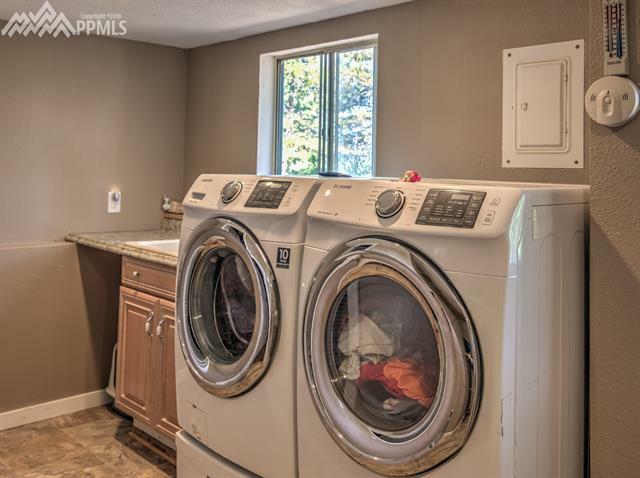 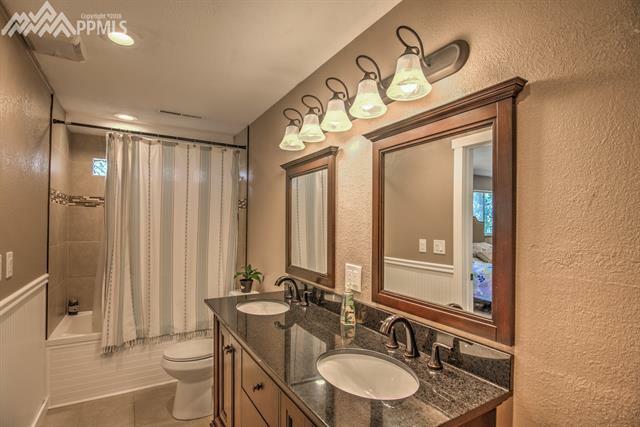 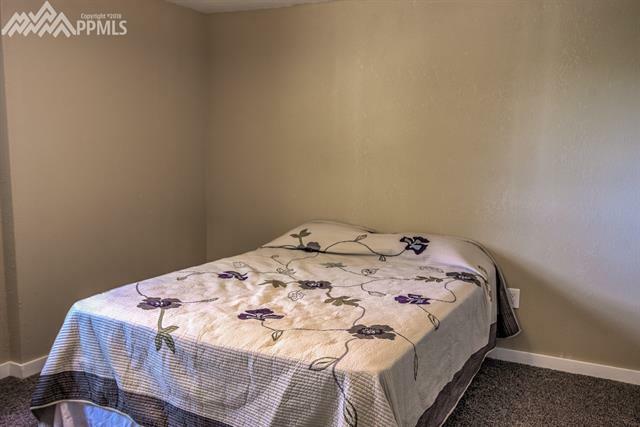 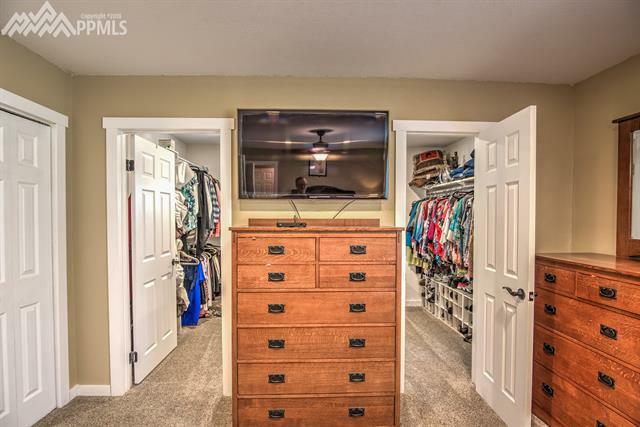 Ranch floor plan, allowing 3 large main level bedrooms, master adjoining the bath, accompanied by a large walk-in closet and an additional closet. 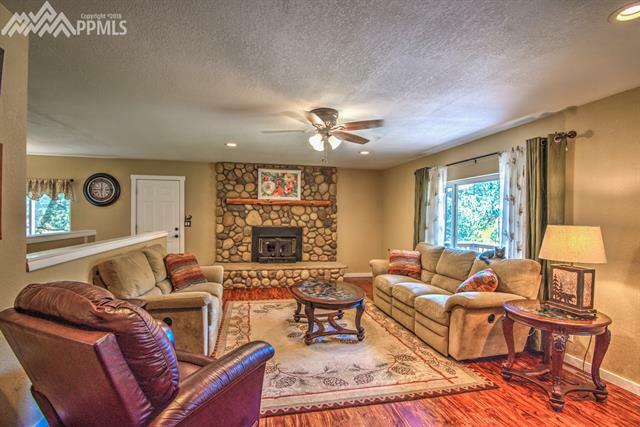 Open design great room, with hardwood floors, wood-burning fireplace, gourmet custom kitchen, farm sink, granite countertops and cherry cabinetry. 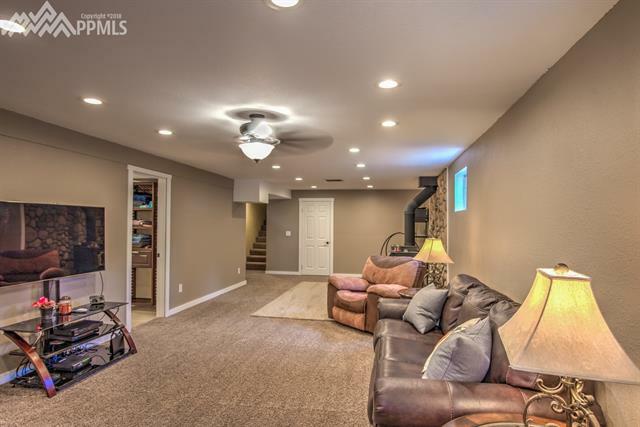 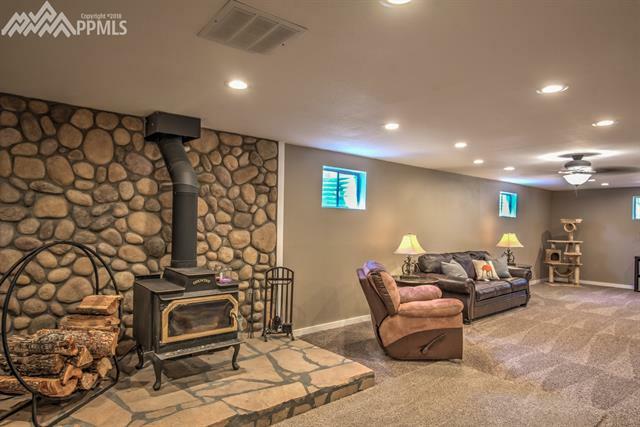 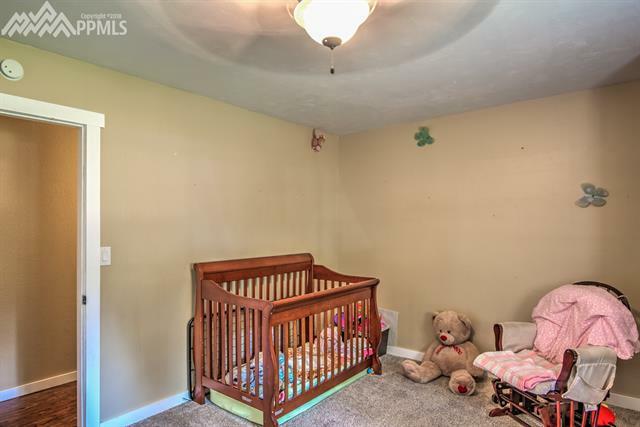 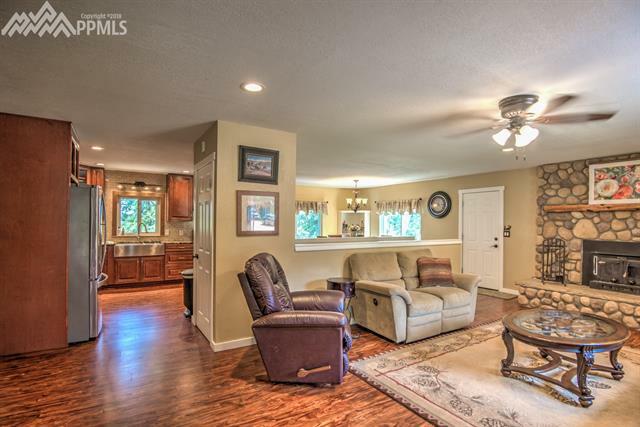 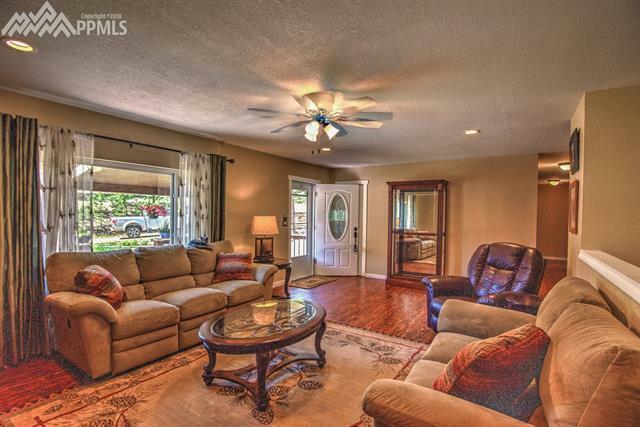 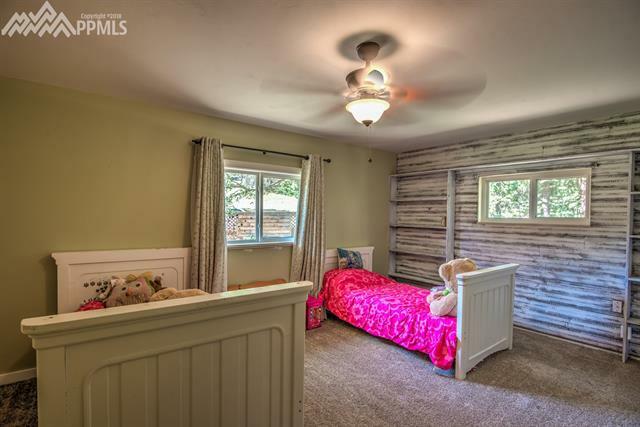 Lower level includes large family room, w/ wood-burning stove.